Believe it or not, I'm being DOWNsold! Check out this video, the 100 to 200 kph time is not that impressive for the E53 AMG. Oh lord man give it up. Very few if any 6-cylinder luxury/sport sedans have a so called "impressive" 0-125 MPH time. I don't get why you feel you need to constantly deride the E53 if you're so content and satisfied with your E450. The E450 would be even slower to 125 mph. Yeah you'll be faster in a straight line with a "tune", but you'll be in the weeds in a corner. The placid E450 Cabriolet will not be anywhere near the handling of the E53 Cabriolet. Do you really not grasp that they have differently tuned suspensions? You clearly have not driven the E53 long enough to see any difference so it's completely lost on you. Going by your logic there is no difference between the E450 and the E53 that is just simply not true no matter how many times you repeat this nonsense man. Last edited by Germancar1; 12-20-2018 at 12:41 AM. Anyway, back on topic, I think the OP was being downsold because the residuals on AMGs are pretty low and maybe the salesperson was looking out for them. Now, if one were to buy a used beast. That's a totally different value proposition. Indeed, I'd be curious to know what sticker and resale was on 2012 Merc AMG's old wagon. Sticker was 122K trade in was 92K 1 year and one month after purchase. The trade in probably would have been about 4 grand more had the car not been red, that really hurt me on trade in. I got slammed car wise about as bad as the stock market is doing. Oh well, I guess the way I have to look at it was I did have some fun with the E63 AMG. Never really had any trouble with it, no check engine lights or anything but I just did not understand as to why it just did not feel right the way it drove and the Audio system just did not sound right at all even though there were no apparent problems with it. My E450 wagon the interior looks much the same, same speaker locations, etc. But the Audio sounds very good, actually a huge difference over the 2018 E63 AMG which is a welcome addition in the new car as I am kind of a audiophile. I still find it crazy to believe that I like a 80 grand sticker car so much better than a 122 grand sticker car. Goes to show, money value of a car is not everything. You're simply lost man if you think the stock E450 will perform the same as the stock E53. Tuning a E450 will result in a faster with no better handling E450. The E53 has air springs, "airbags" are in the interior to save your life in case of a crash. You keep hollering about a tuned E450. You can tune anything to be faster than something that is stock. A tuned E53 will be better still and so on, it's a silly argument. Your E450's handling is not "up there" with the AMGs, unless you consider "up there" being way behind in feel, grip and speed in the corners. I drove the E450 Cabriolet also and found it to be nice, but sporting it is not. Every single professional review will put the E53 as they did the E43 over the standard E-Classes (E400/E450) in handling. You're simply not dealing in reality, only trying to defend a purchase which is totally unnecessary considering the E450 is a fine car in it's own right. You can argue all day long that the differences between the E450 and the E53 are not worth the coin. I have no issue with that, especially if you're not looking for sport, but this ridiculous argument about a stock E450 being "up there" with a E53 is specious. A tuned E450 will only be faster, not better handling. There is simply NO WAY the E450 handles as good as the E53. Sorry, it just isn't true no matter how much you think it is. Lastly the E450's 0-125 mph time is impressive? Compared to what? My guess is that your standard for impressive is really low. 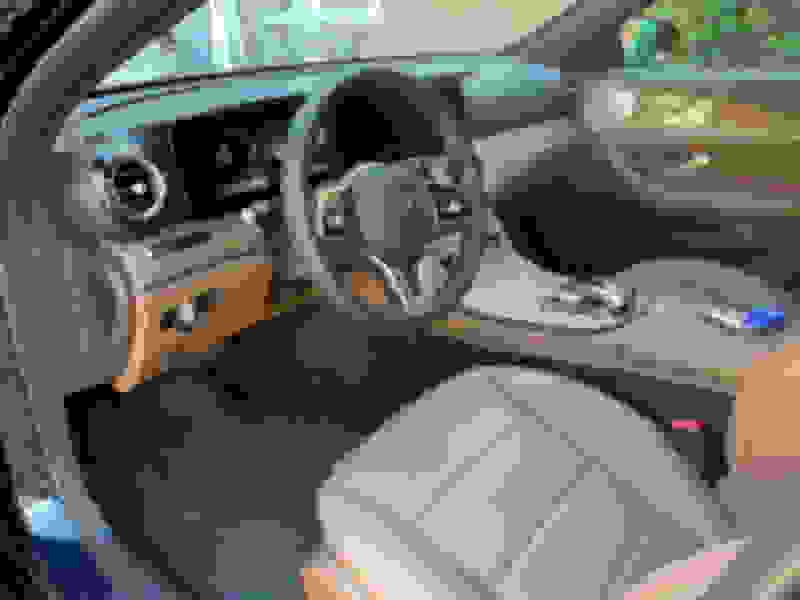 Last edited by Germancar1; 12-20-2018 at 01:22 AM. The E53 for me offers a great all around package. I drive a lot - if the M550 had a 21 gallon tank, I'd of bought it already, however the E53 comes close to V8 power, is very efficient for a 400HP engine, has a 21.1 gallon tank (read great cruising range), and great AMG handling and good looks (not great). I am trying to drive a CLS53, hopefully this weekend - that looks nicer too me, but the rear space may be an issue. To the poster who keeps talking about the 450, I guess with your logic, you should get a loaded E300 with a tune and save even more? No matter how you slice it - its a personal decision, no right, no wrong. Folks just have to drive the cars and choose what's right for them! As far as discounts go, yes the trades definitely have something to do with it. I traded in my S550 and they only gave me 45K for that car and then retailed it for 59K, it probably cost the dealer around 5K to certify the car but the car was not on their website long so I suspect they made at least 7 or 8 grand on my trade. Other than that I probably woulda only got around 4 or 5 grand off the sticker of the E450 Wagon instead of 10 grand. It depends what they need to do to a car to certify it. Typical certification is about $2K. I doubt they spent $5K to certify your former S550. 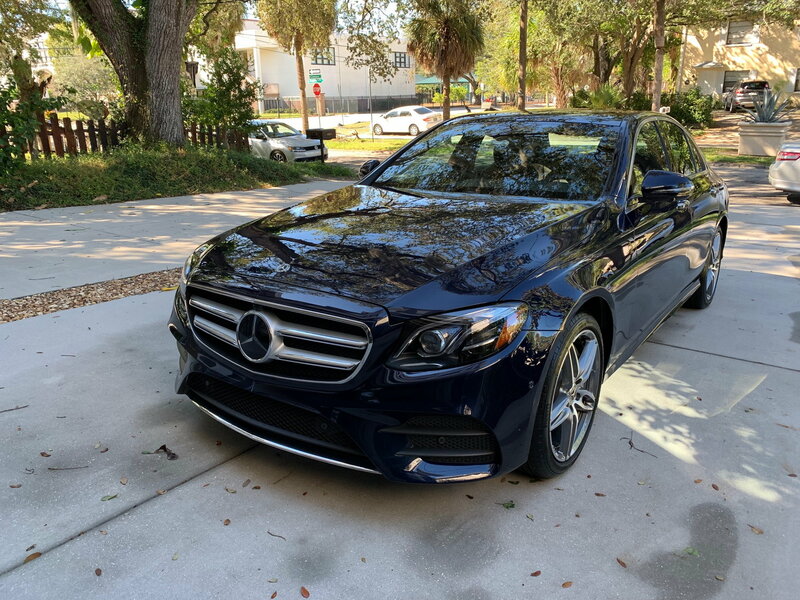 In my case, they gave me $30.5K for my loaded in pristine condition (they did not even need to clean under the hood) with only 14K miles '14 CLS550, then retailed it for $41K as CPO within two weeks (it is still in "sale pending" status). I do agree that without the trade, I would not have gotten $10K+ off (probably 8% tops on a very loaded car since it was on their lot). Going back to the topic...which is better, depends on what customer wants - great acceleration and handling (but both not on par with E63) of E43/E53 vs. still very good acceleration and very good handling (latter especially compared to my former W212 '14 E550, which to my surprise is still on their lot after three weeks, maybe because they did not CPO it) of E450. I chose E450 not because it was less expensive (still bought $80K MSRP car) and certainly not because it was "better" that E43/E53, but because it was a car that suited my needs/wants more than E43/E53 does. Ok, so I finally got a chance to drive both an E450 and an E53, back to back. I appreciate all of the comments received here, and they helped in my observation process. As to ride quality, here too, I noticed no difference. Both handled well, and were very smooth on the road. I didn't try the more aggressive settings as, frankly, they don't interest me. As to sound, personally, I didn't care for the constant burbling from the engine on the E53. I understand that this is part of the attraction for some, but to me, it reminded me of when I was young, and put baseball cards (Mickey Mantle #1?) on my bicycle wheels to emulate a motorcycle. So, after the test drives, I'm working with the sales person to order an E450, Lunar Blue, Nut Brown/Espresso Brown Nappa leather interior, almost every option except for the panorama roof, and the Burmester High-End 3D Surround Sound system (I mostly listen to audio books and country western music). Delivery for mid July when my family and I will embark on a 2 week road trip the day after I pick up the car. I think your choice will meet your needs to a tee. Congratulations! I am picking up my 2019 E450 this Thursday. So you should expect your car middle of March. Rod, you beat me to the punch. I was going to mention that a frequent lurker in this forum would surely be jumping in to complement him in his color choice! I've test driven an E450 and, for a variety of reasons, am now leaning strongly toward it over an A6. When I ask the sales person about an E53, he is urging me to stay away from that version as it would be rougher riding and less quiet (both important to me). Is this a true issue, or can the E53 be about as smooth and quiet as an e450? It's not an issue of wanting me to order a car from the lot, as I'd need to factory order either model. to sum it up I guess the main reasons I can see for getting the e53 over the e450 is if I lived at a high altitude I would have gone with the e53 or if I waned something just a little more sporty and really believed in a air spring suspension or if I liked the look that much better on the backside of the car that much better and liked a little more exhaust grunt. Other than those reason I can’t really see a reason not to go with the e450. My e450 can be tossed into a high speed sharp bend without much worry I think like 95 percent of people are not going to notice handling differences. Some people might be bothered by the rougher more firm ride of the e53 if they lived in a area like the northeast where the roads are not so great. Some people might be bothered by the rougher more firm ride of the e53 if they lived in a area like the northeast where the roads are not so great. That is one stunning combination! I wanted to order that same combo, I didn't, and now I'm pissed. I'm sure what you ordered is equally stunning! What car cam do you use?? Quick Reply: Believe it or not, I'm being DOWNsold!